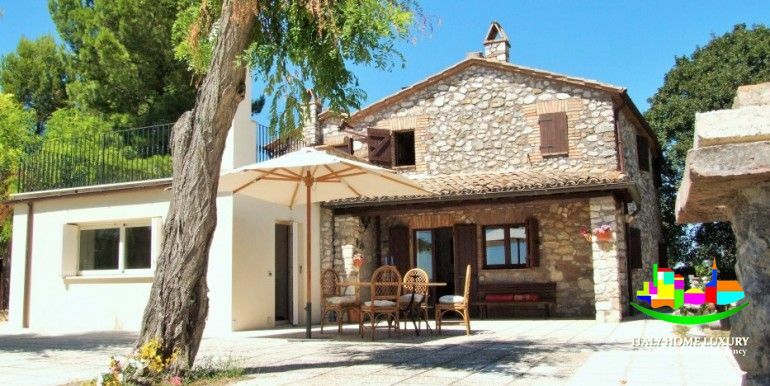 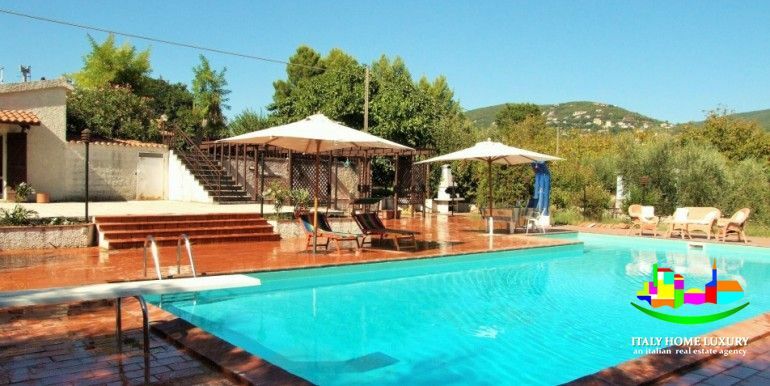 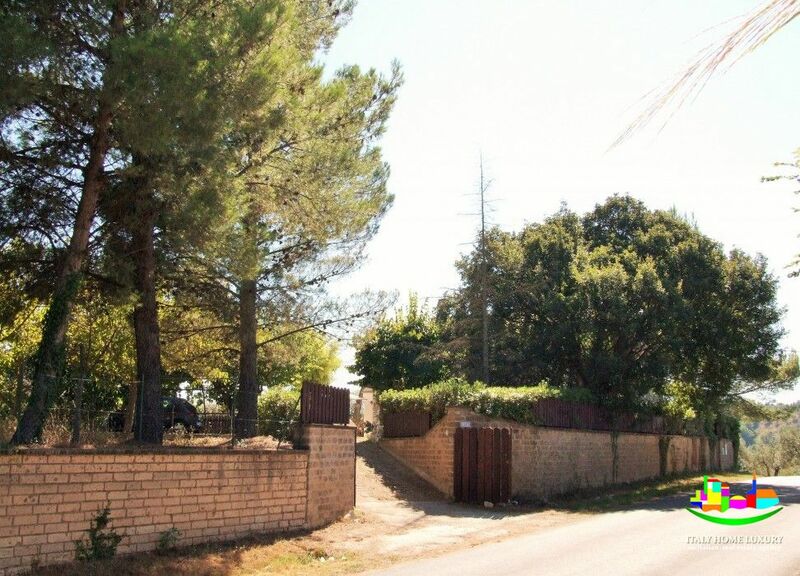 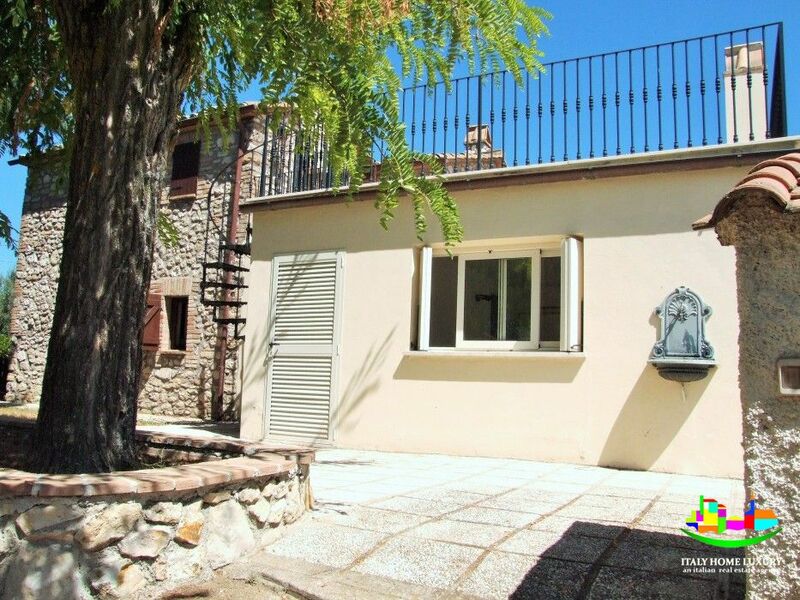 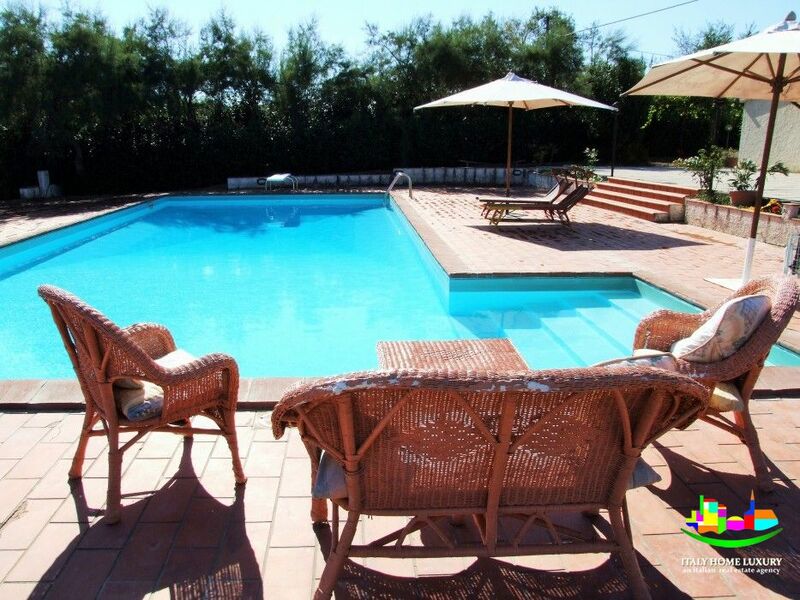 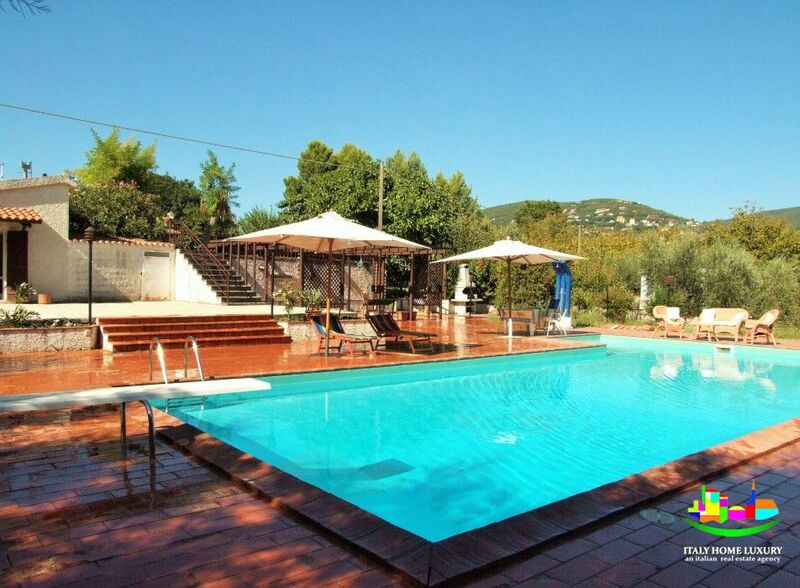 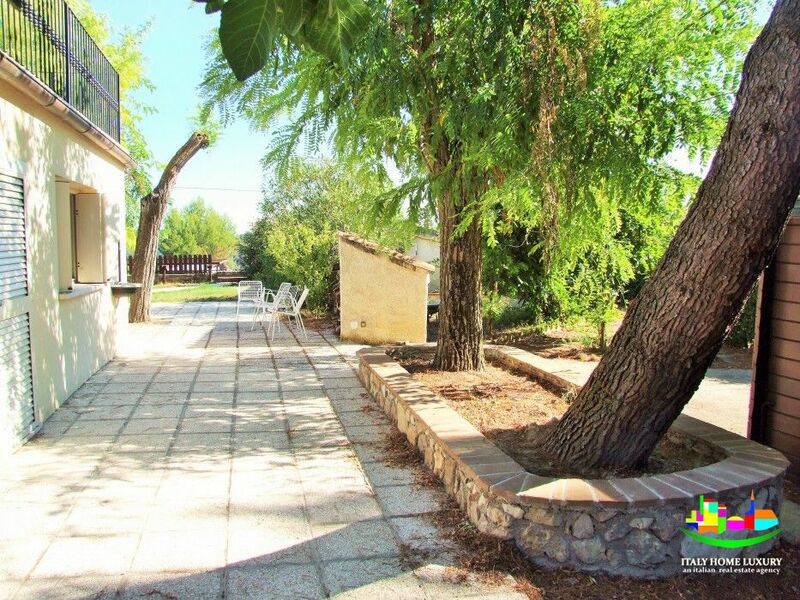 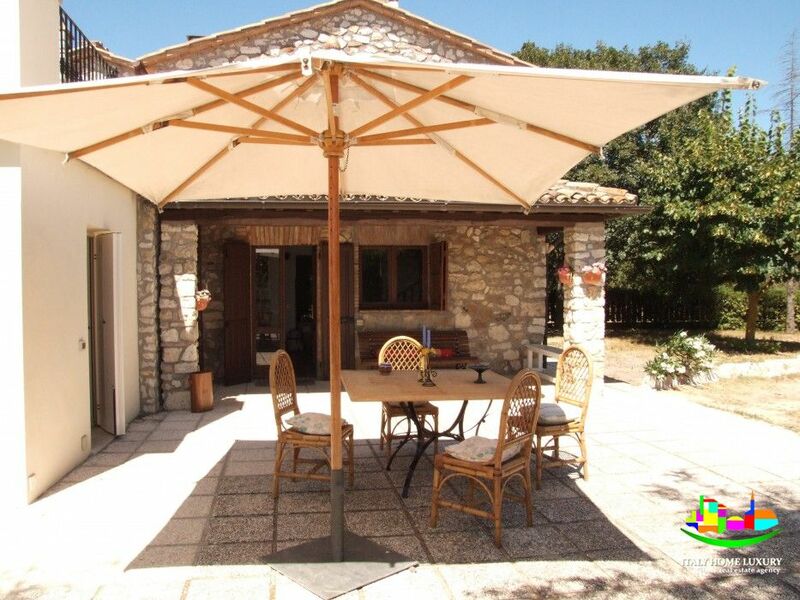 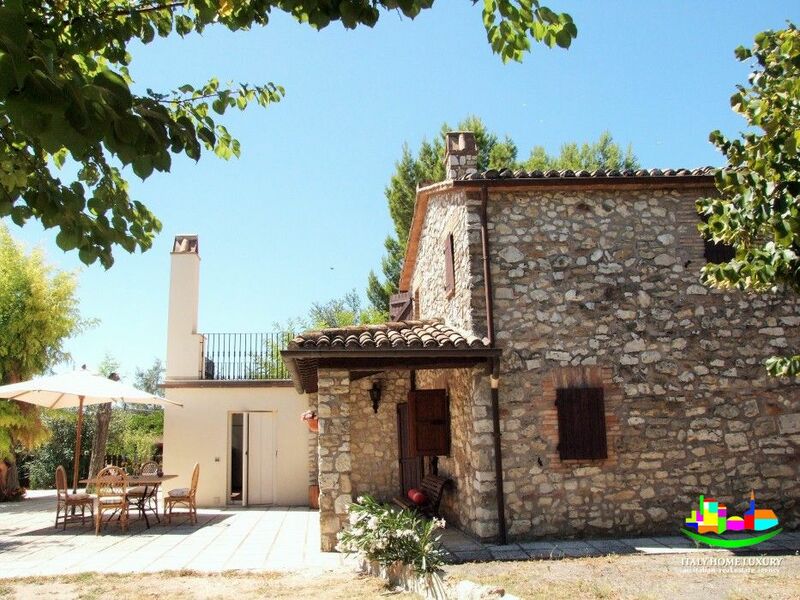 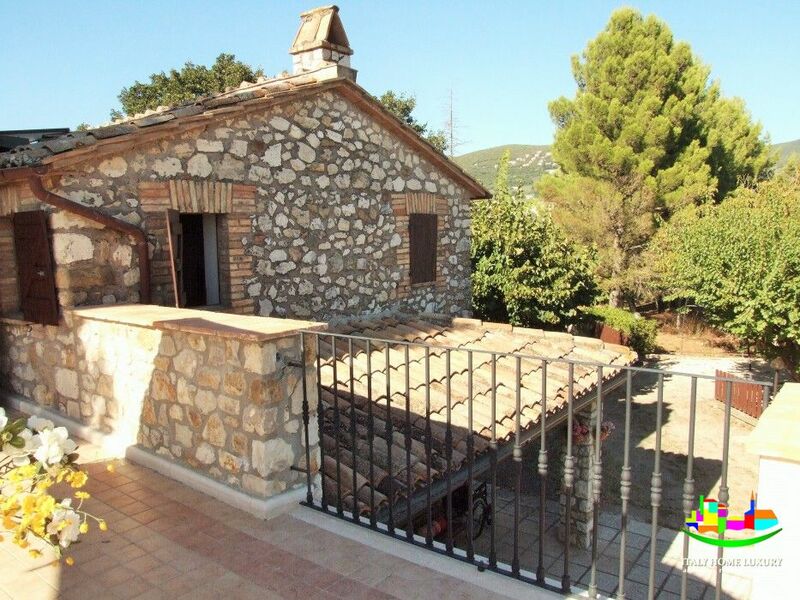 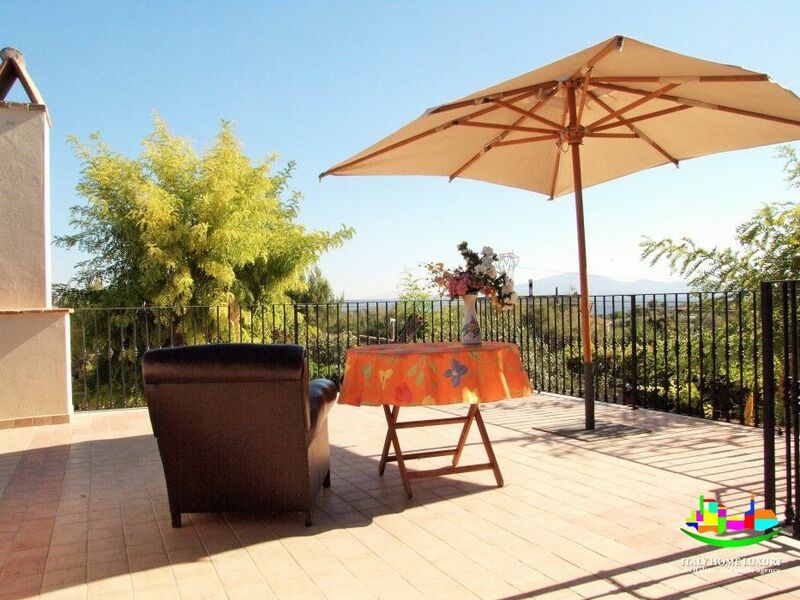 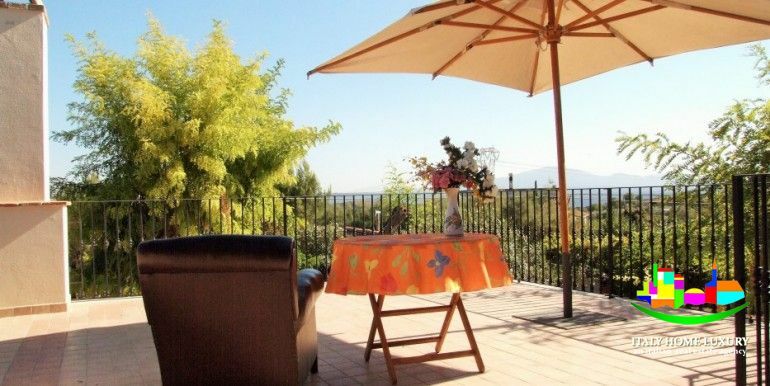 Villa for sale in Alviano with swimming pool in a panoramic and exclusive position. 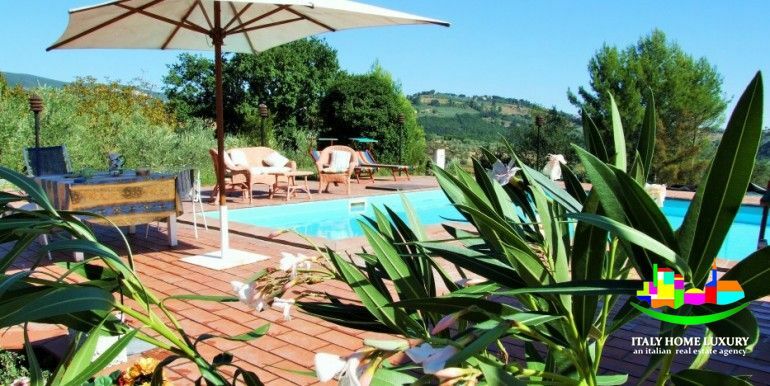 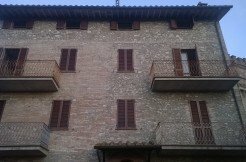 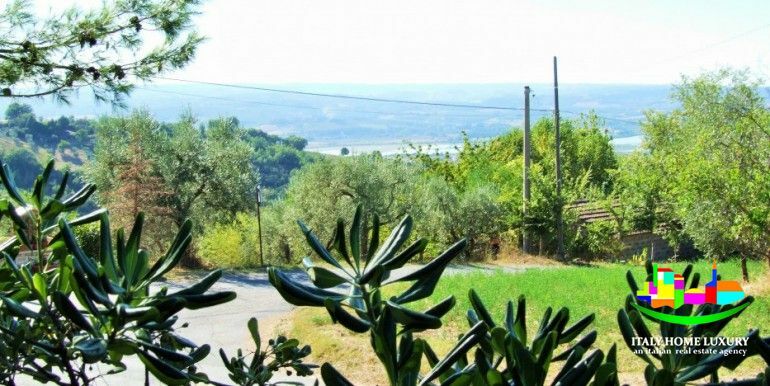 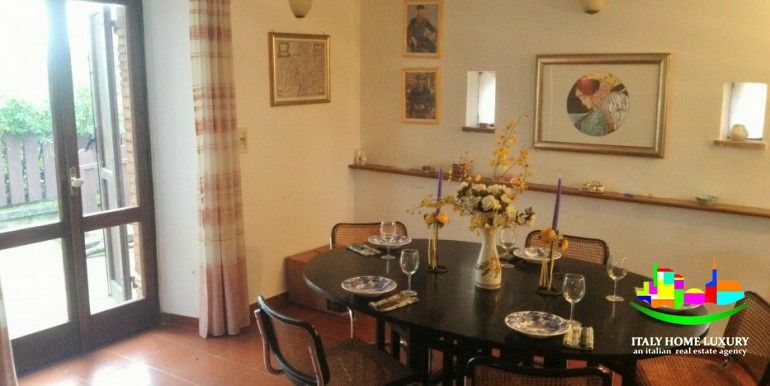 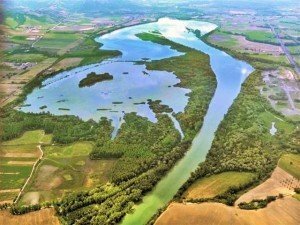 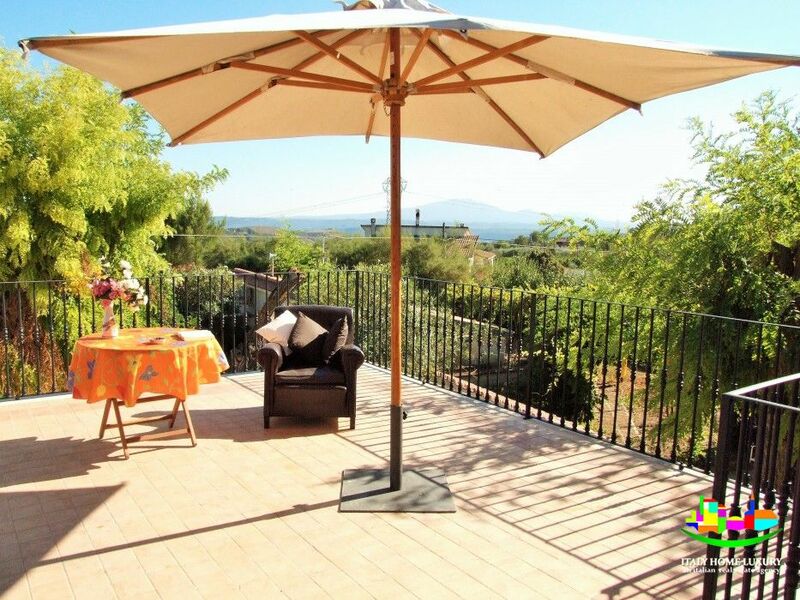 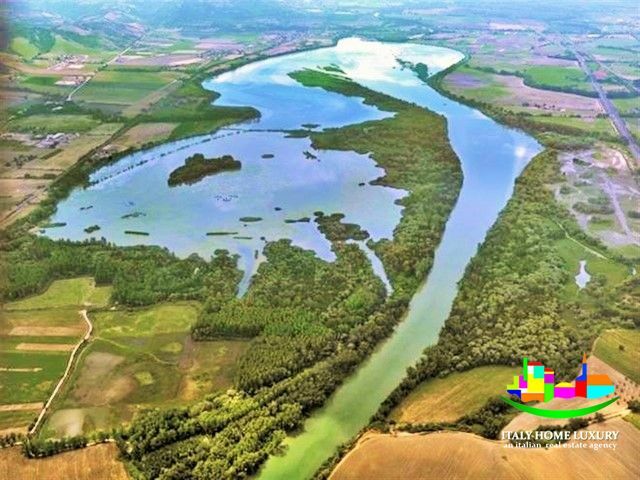 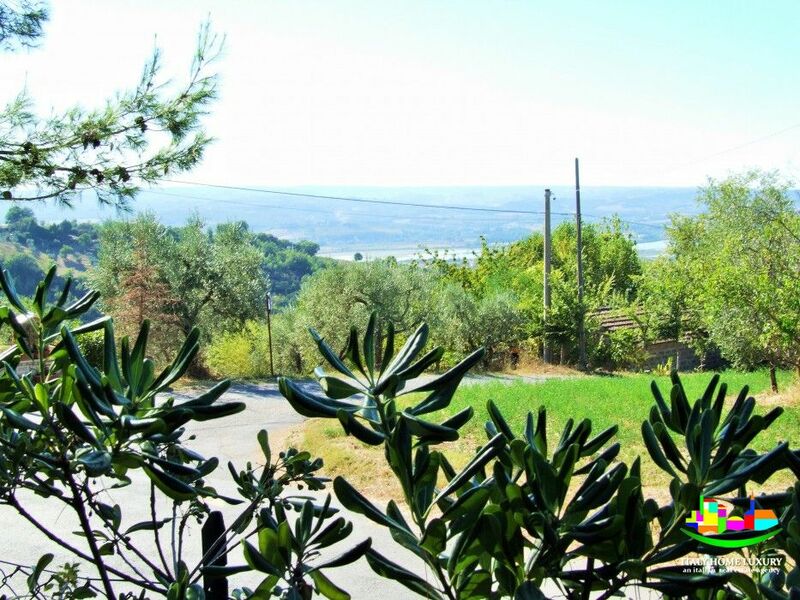 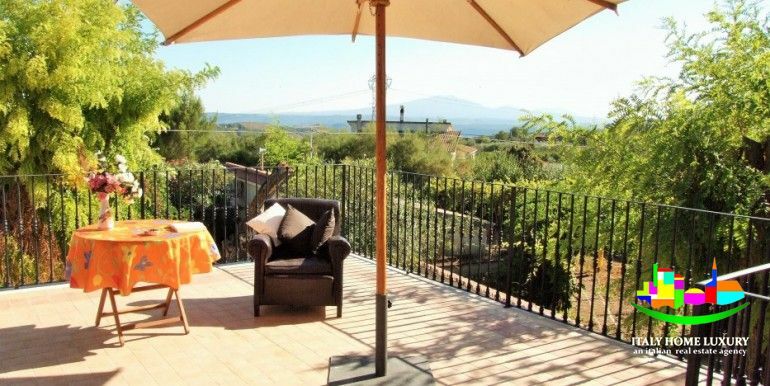 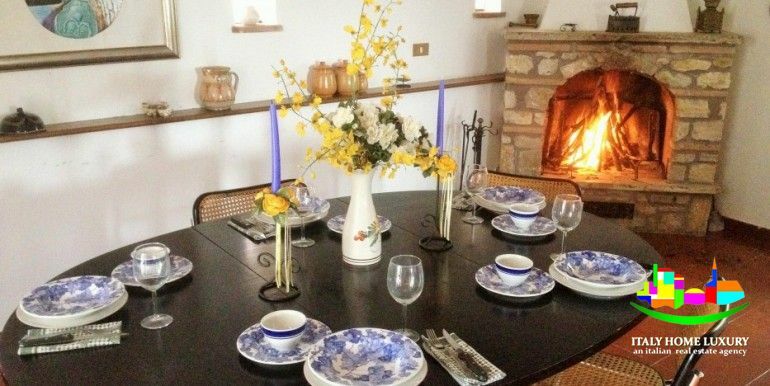 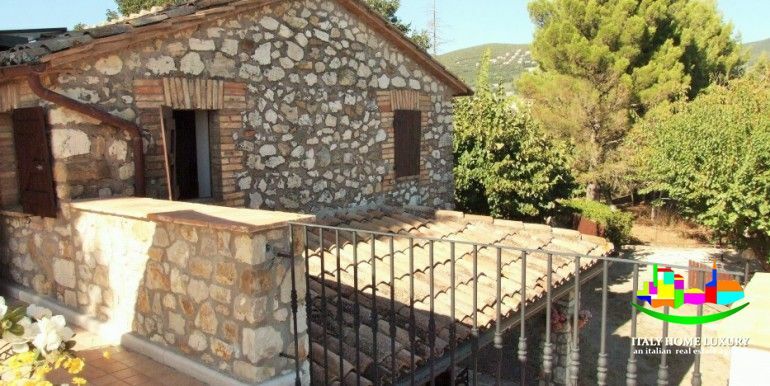 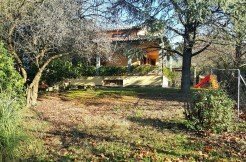 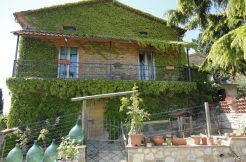 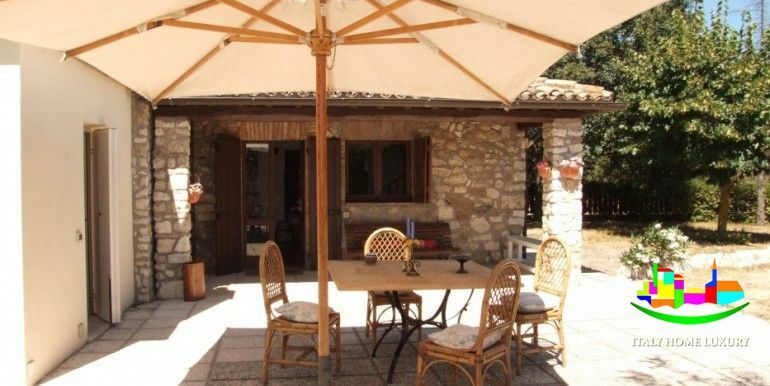 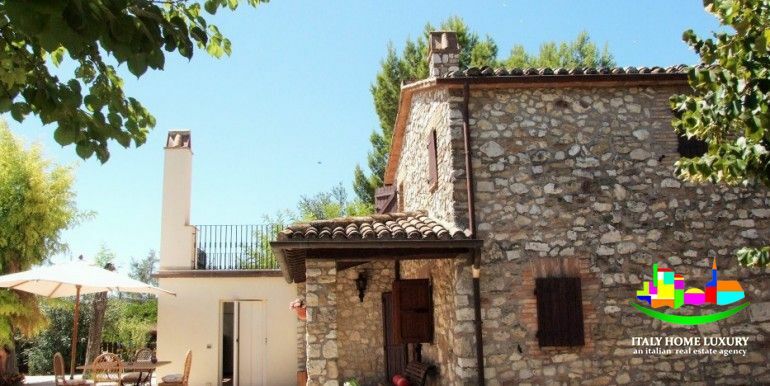 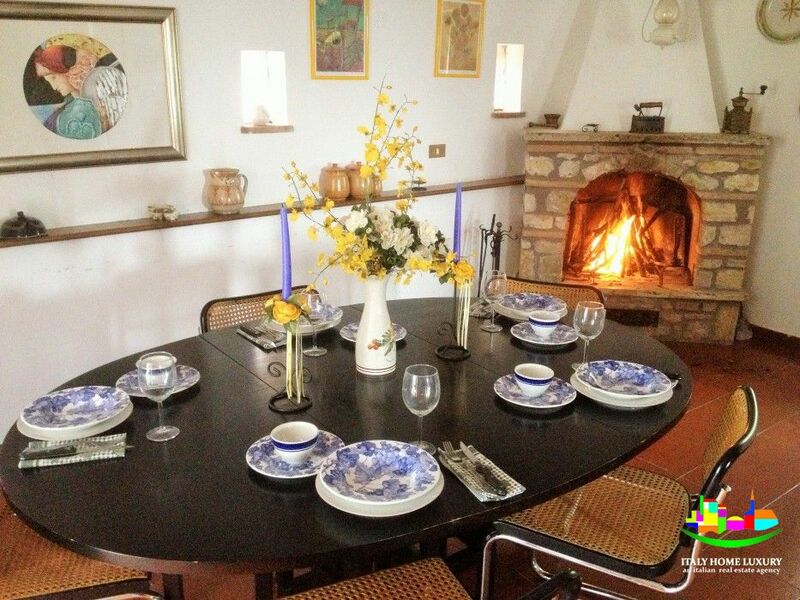 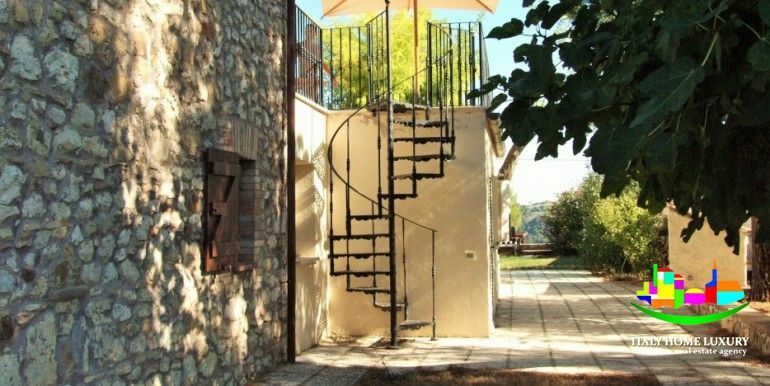 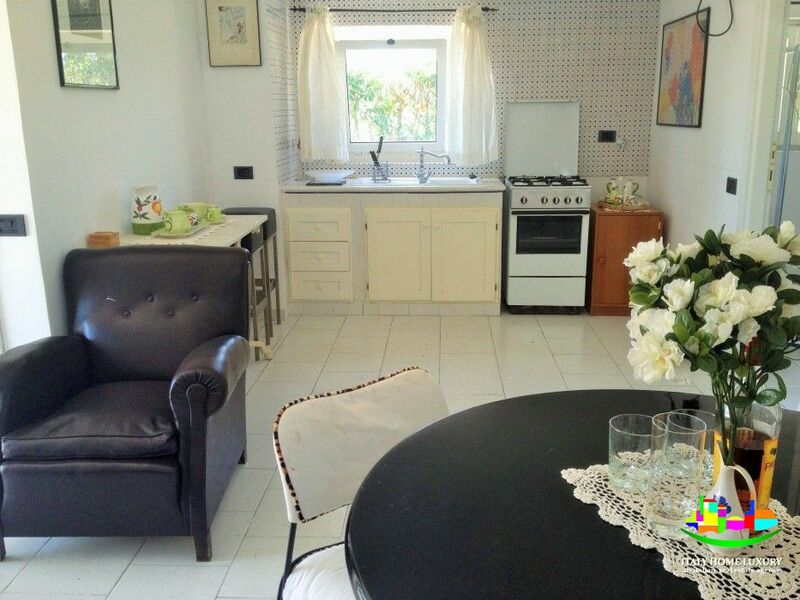 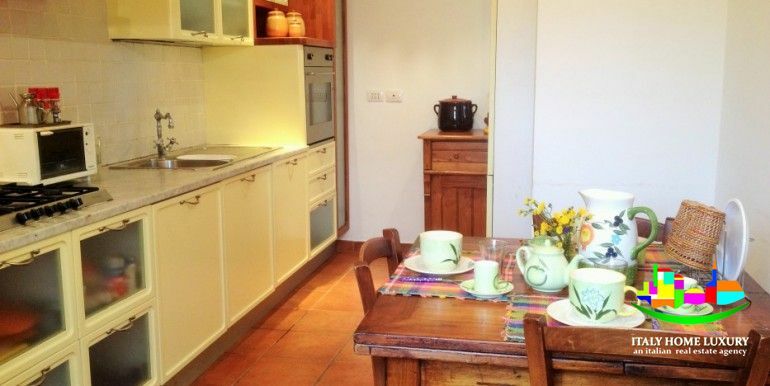 Villa recently renovated, is located near the medieval village of Alviano (TR) in Umbria just 10 minutes from the train station of Alviano Scalo along the Rome-Florence line. 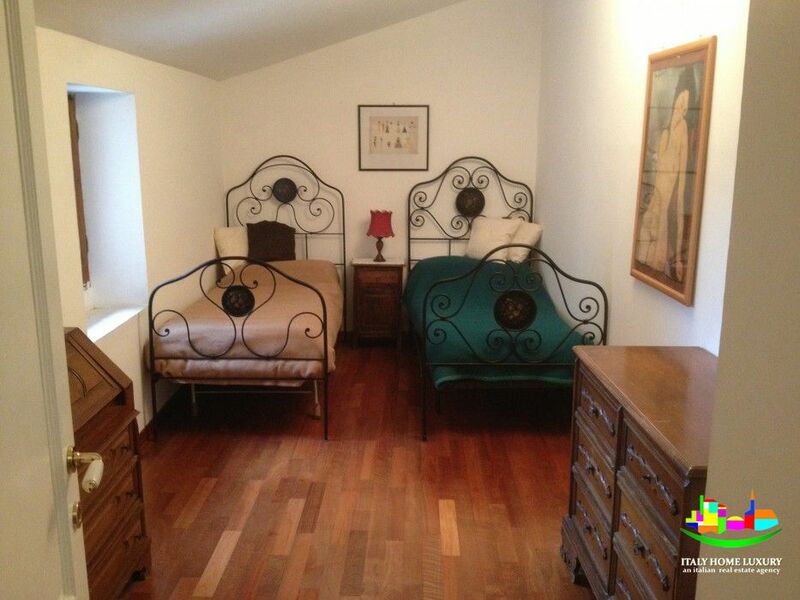 The property has two separate units, one of which is larger. 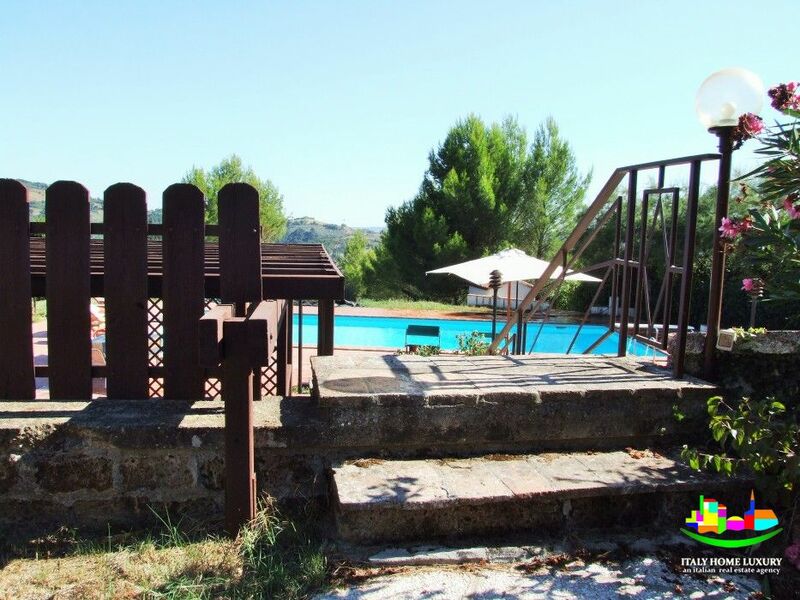 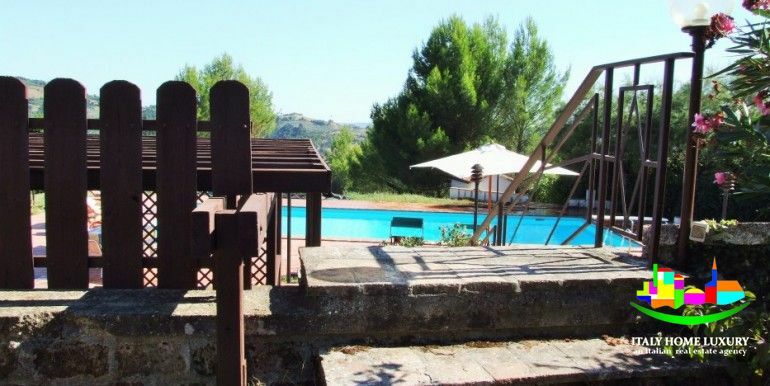 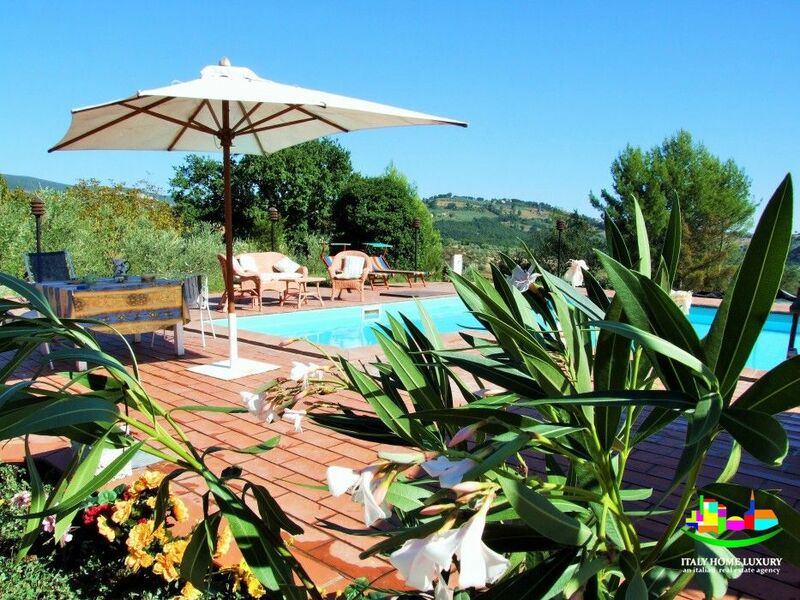 Also in the property there is a private swimming pool with a magnificent view of the Umbrian countryside. 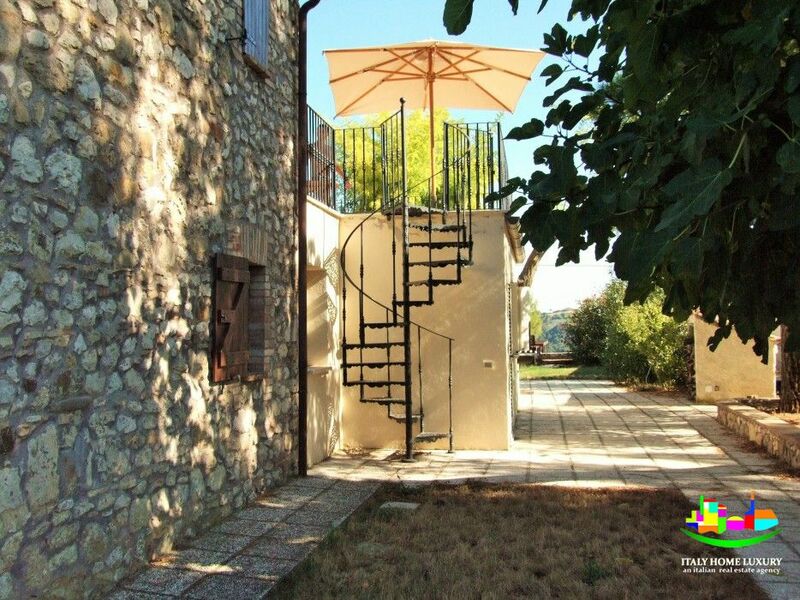 The farmhouse is a mono-property, in compliance with Urban Planning and Building Regulations. 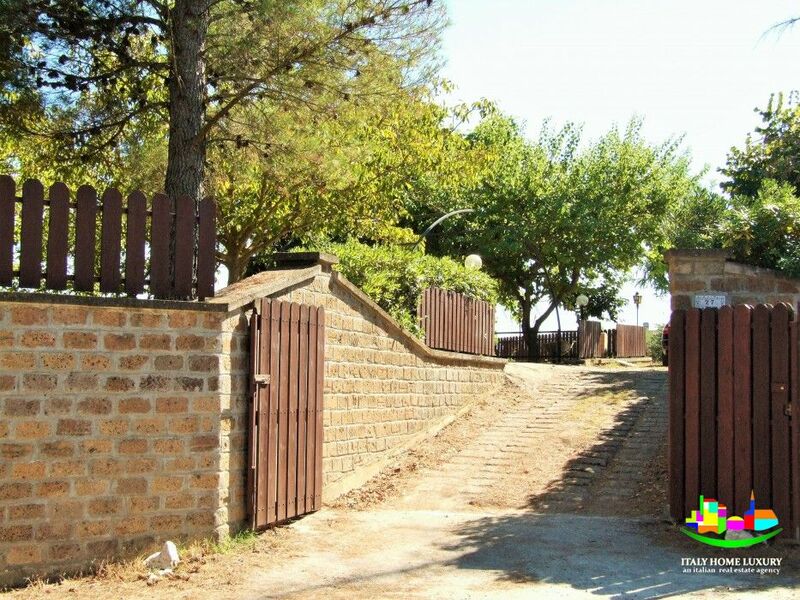 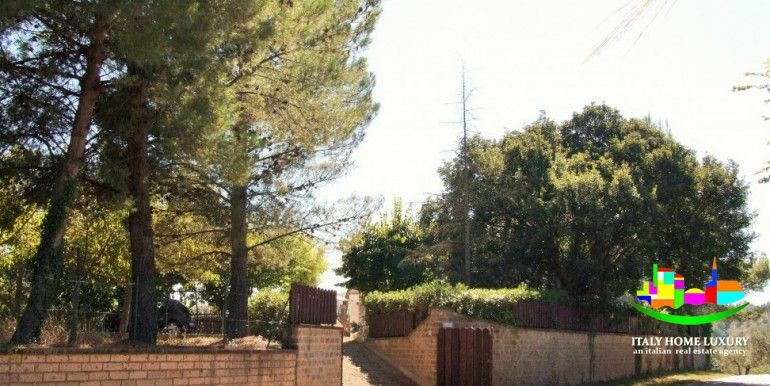 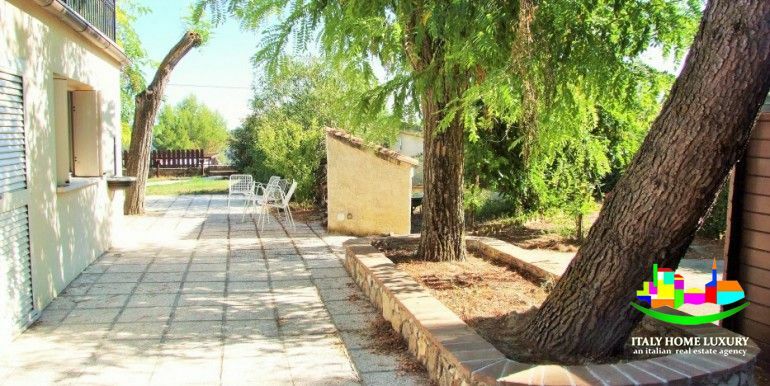 The surrounding land of 6000 square meters, completely fenced in masonry, has a large orchard with apple trees, pear trees, walnuts but also olive trees. 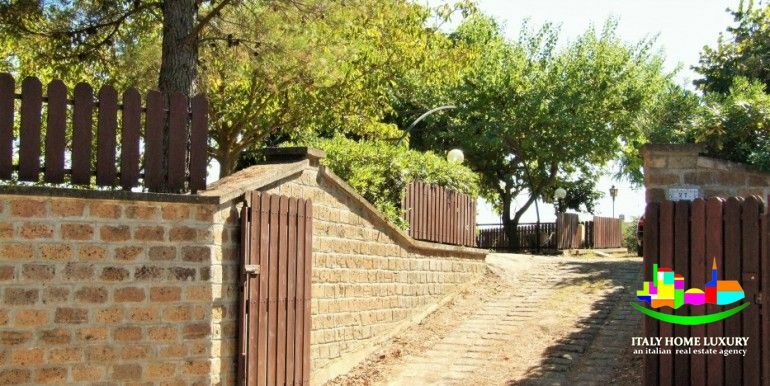 and a vineyard. 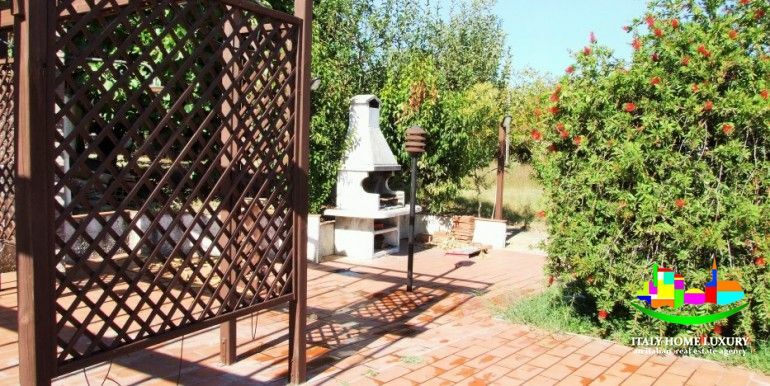 The property has an annex located in the pool area. 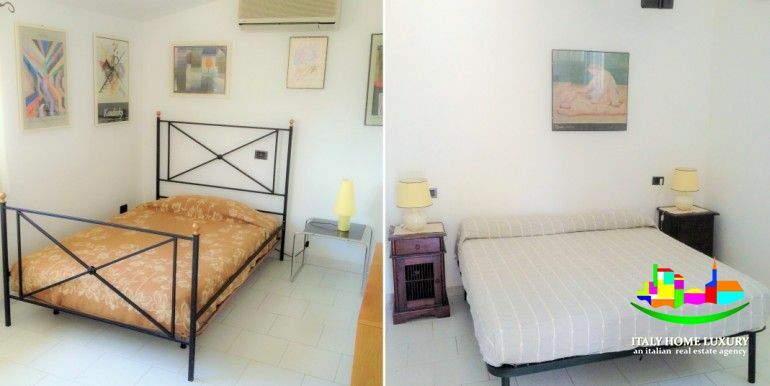 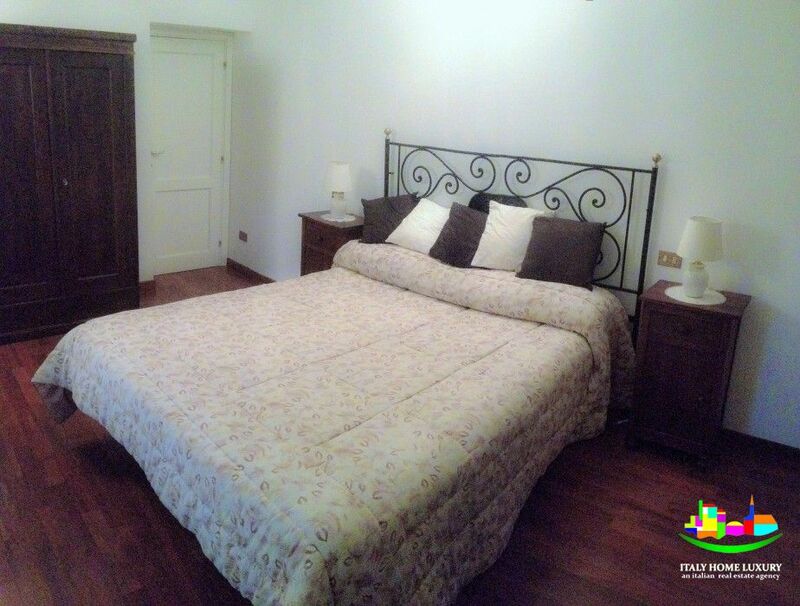 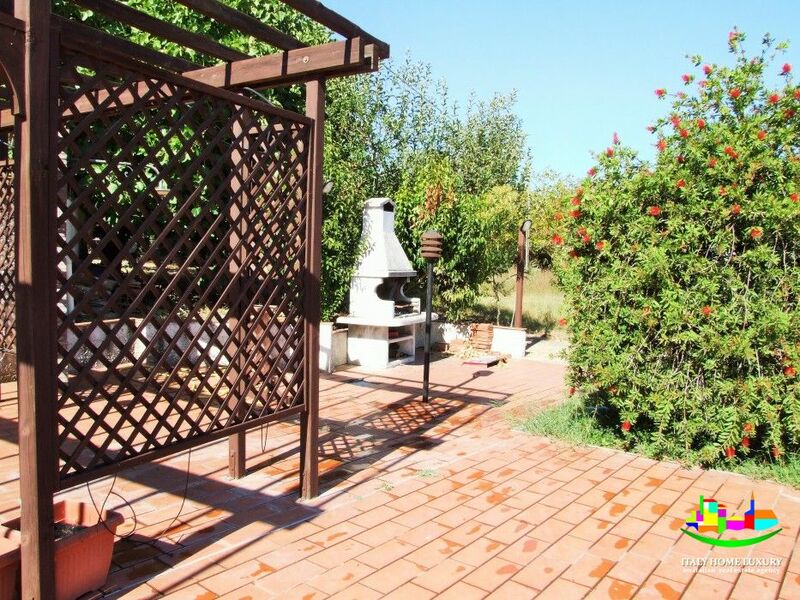 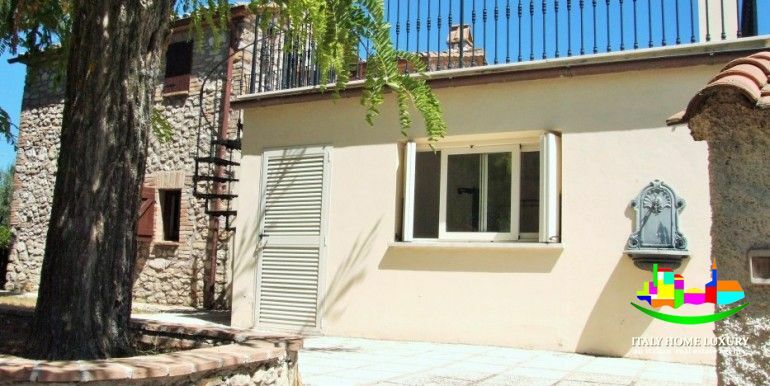 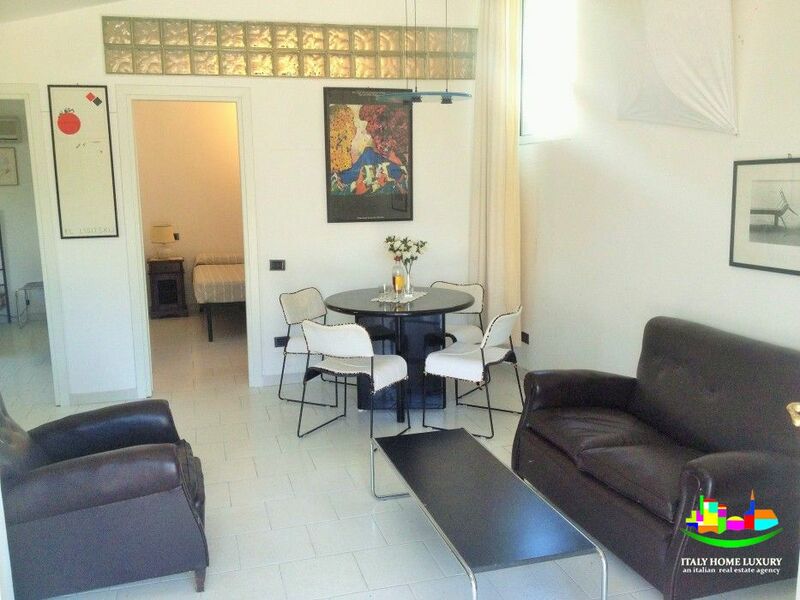 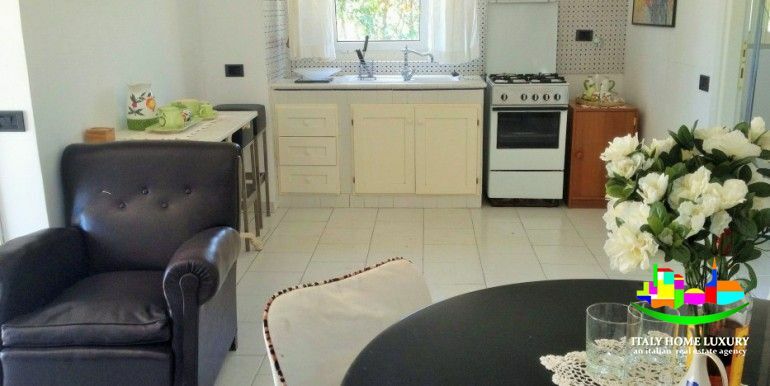 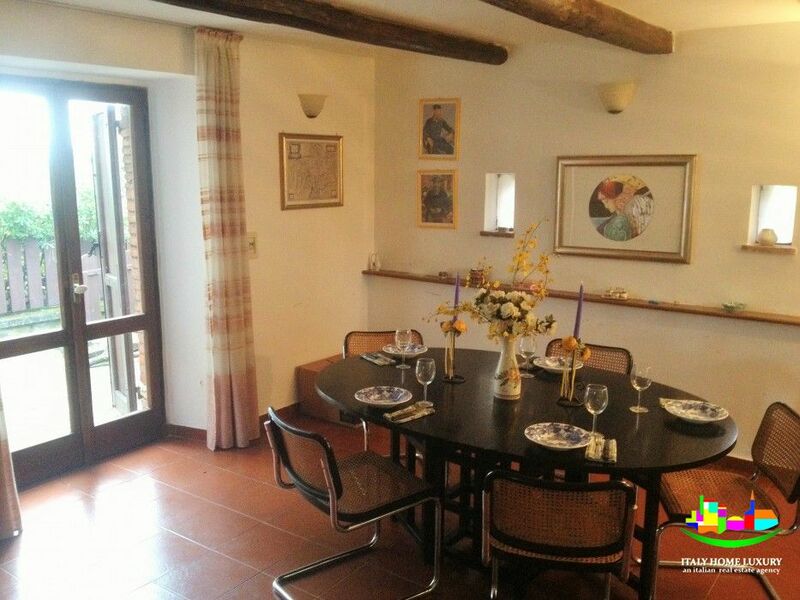 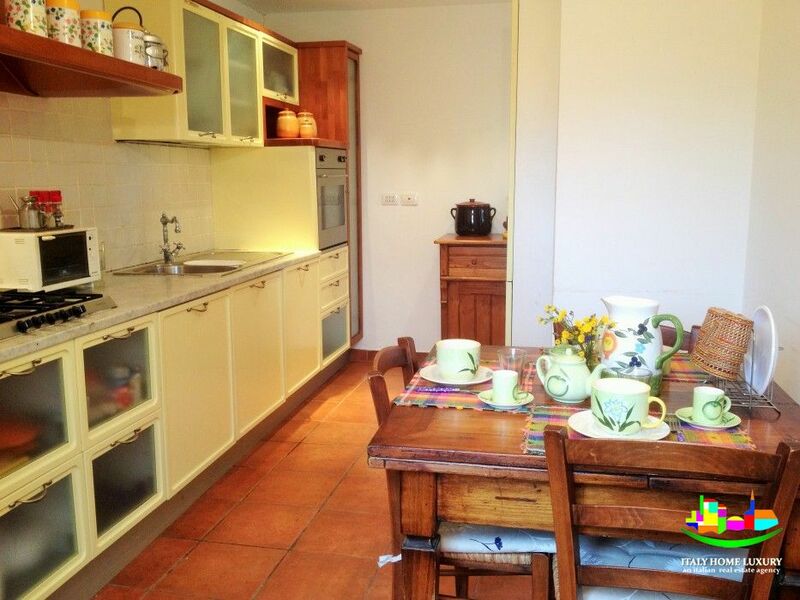 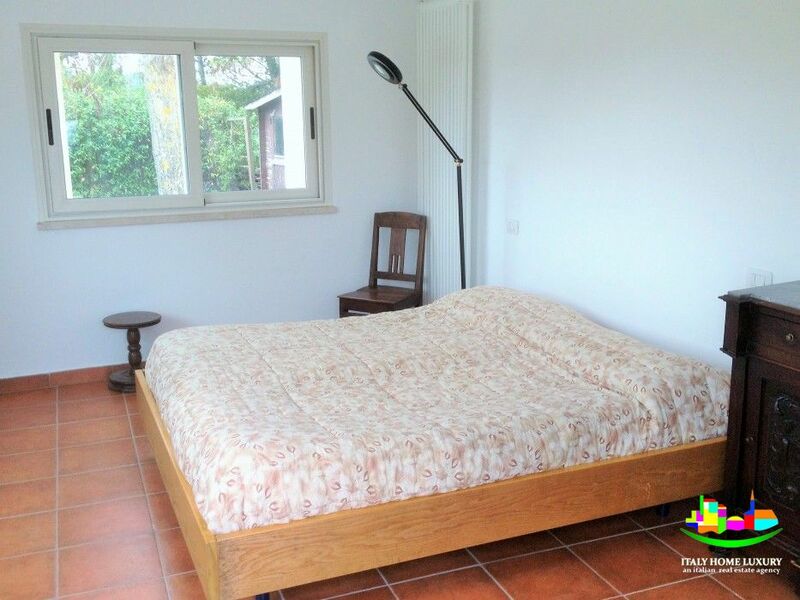 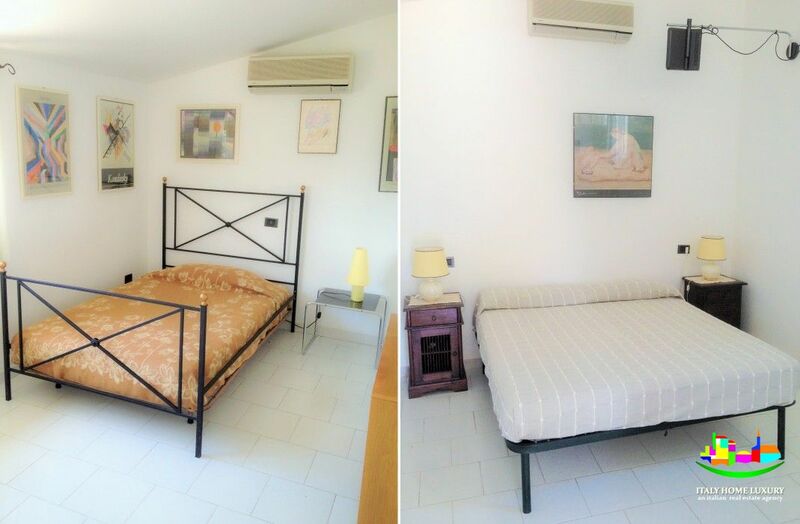 This unit has a surface of 60sqm and consists of two bedrooms, a living area with kitchenette and a bathroom. 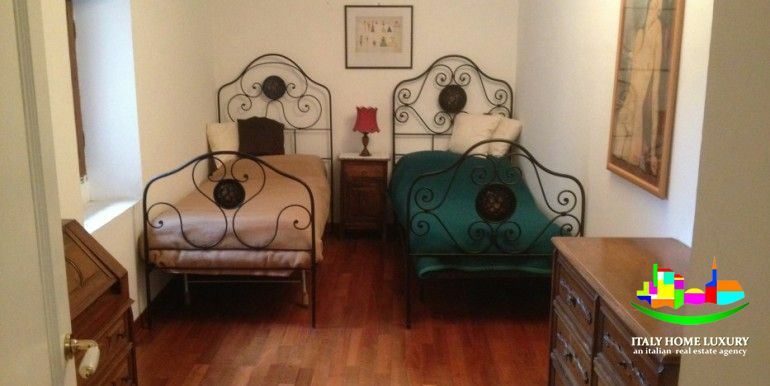 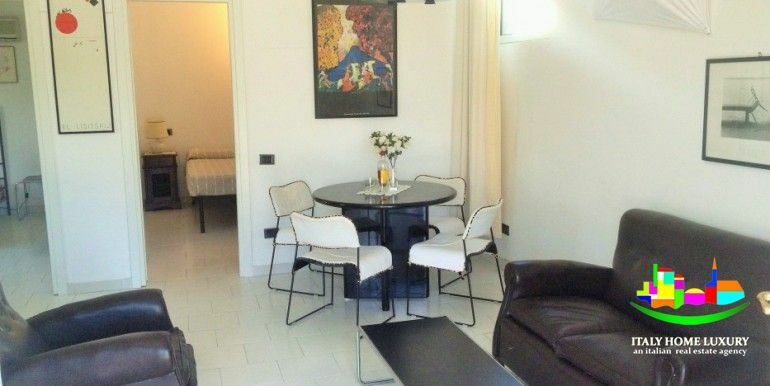 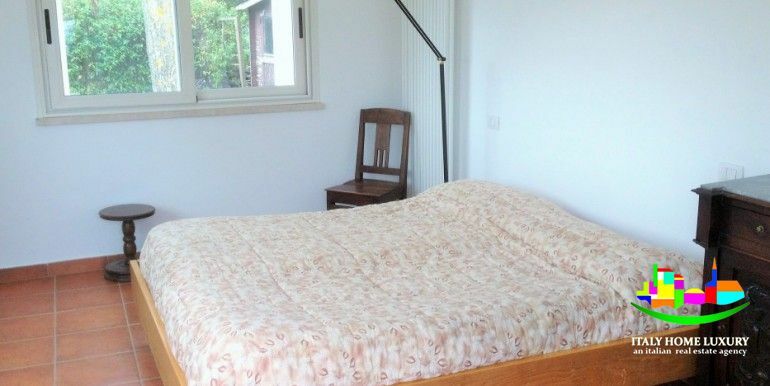 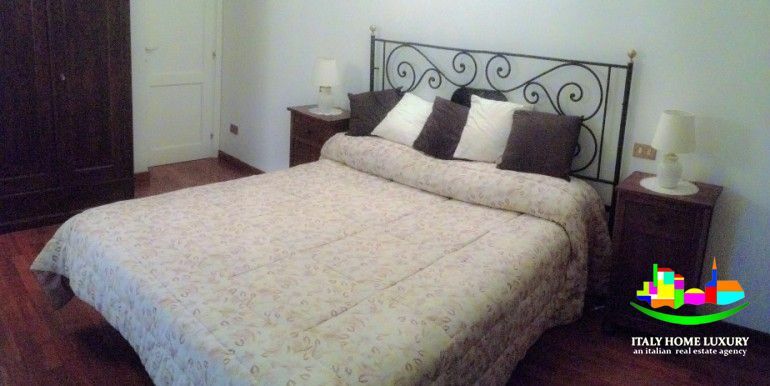 The apartment is fully furnished, equipped with heating / air conditioning and running water.